The success of email marketing campaign depends on how much emails the email marketer will send and how much of them will definitely reach the recipient. Thus email marketers have to send a lot of email messages every day to succeed. This process may look boring, but the situation changes if email marketer is ready to use special software to make the process easier. 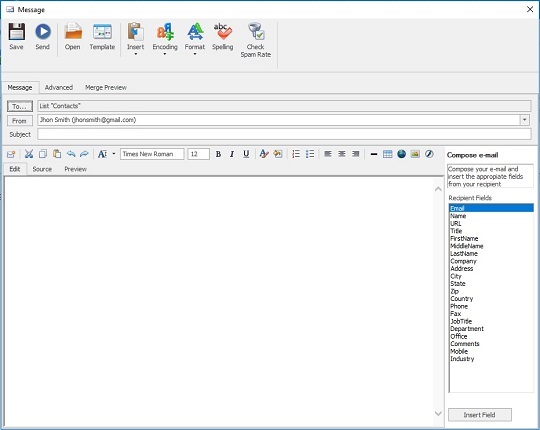 You can find and download the Email Sender tool on our site. With the help of this email newsletter software you will have wide opportunities to make your email marketing campaign a unique one. - You can send up to 20,000 emails per hour. In case you need to determine a certain amount of bulk mails sent every day you have just to program the tool so that it sends an exact number of messages. - You have to possibility to send your messages right to your subscribers due to built-in SMTP server. 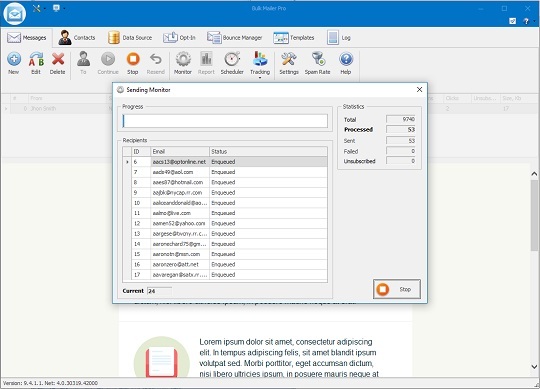 - You will also be able to create your messages in HTML format or text-only format if needed and add different attachments to your message, such as images and Flash. - The whole amount of email addresses can be sorted and managed so that the email advertising would be safe for you and your clients. The email marketing list can be created by importing one or several ready lists (can be of different format) into the software as from inside sources so from external sources. The Bulk Mailer is the kind of program you cannot run your email marketing business without. After trying it once you will not be able to stop using this user-friendly software.